The backdrop is simple but the conversation is lengthy and intense. Set in a Subway outlet, in the year 2011, two young tech enthusiasts, over a bowl of green salad, converse to give a name to their entrepreneurial start out. They christened the company as blackNgreen. The name seems like a healthy mix of black and green olives, but it represents one of the most successful product companies that empowers some of the biggest telecom operators around the world with niche Value Added Services. The tech enthusiasts are Rahul Gupta and Kartik Shankar, who are best known for their creation of MagicVoice – the voice morphing application. 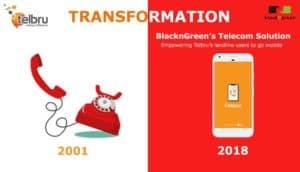 Headquartered in Dubai and with registered offices in India (Gurgaon & Chennai), Bangladesh, Indonesia, Nigeria, Ghana, Cameroon, Uganda, Kenya and Brazil, blackNgreen delivers revolutionary telecom solutions and VAS to over 90 countries currently and is continuing to expand at a rapid pace. “blackNgreen came into existence in 2011 after a series of meetings and discussions between myself and my partner Karthik Shankar. It was almost like an epiphany when the idea of Magic Voice struck me and it so happened that Shankar and I went on to discuss it at length and quickly moved ahead with it. 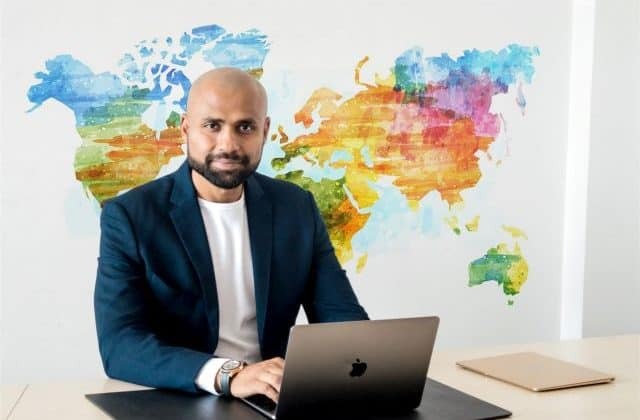 Since then we have come a long way with a presence in 98 operators and 11 offices spread across MEA, APAC, and LATAM,” introduces Rahul Gupta about his co-founded brainchild – blackNGreen. Since inception, the company has set a benchmark for itself by offering revolutionary telecom products to operators and has capitalized on its USP, which is constant innovation, improvisation, and localization. Magic Voice, Religious Services (Islamic & Christianity), Learn English @home, Datacom/Adcom and most recently Smart Line have all been the revenue spinning products under the company’s belt. All of these have been first-of-their-kinds and have disrupted voice, entertainment, roaming, low balance and fixed-line segments in the telecom domain. All of these have been first-of-their-kinds and have disrupted voice, entertainment, roaming, low balance and fixed-line segments in the telecom domain. Today, the company, based on current deployments, has grown to address a mobile user base of over 290 million across several geographies. Gupta vouches that his company can stand for agile deployment, quality, innovation, fun and mostly local relevance. “We strive to achieve this by empowering our product team to continually deliver an unbeatable user experience, which clearly reflects in our services’ high usage and high customer retention rates. blackNgreen frequently creates partnerships with leading and growing Telecom Operators and excels in combining trends, relevance, local flavor and teams’ operational expertise acquired over several years of closely working with Operators across geographies,” expresses Gupta. Revealing the mantra to success, Gupta says that the company’s products like Religious Services, Learn English and Expert Chat help operators add value to their traditional voice offerings, and these products being very sticky get instant success across markets. With the ever-increasing data and smartphone penetration, the market is bound to grow and Operators are waiting for innovations to happen. blackNgreen’s products are quite indispensable to the global telecom market. The company is under constant innovation mode owing to constant demand from Gen X and Gen Z users, who are evolving and compelling the company to keep pace with the digital evolution to remain in the league. This especially holds good for blackNgreen’s flagship products – Magic Voice, Religious and Expert Chat, and Datacom/Adcom, which are the major revenue contributors to the company’s kitty. 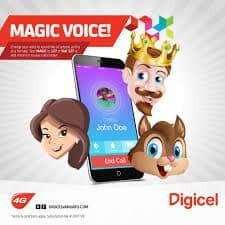 Magic Voice, the IVR based service, has already been a huge success in 98 operators in the last 7 years and is going strong with deployments in new markets. In India, Gupta recently launched its App version and in just 6 months, it has been a huge success recoding over 3 million downloads, 20 million plus calls on the App, and a 4-star rating on Google Play Store. Entrepreneurs, often go back to a few unforgettable testimonials that inspire them to strive further. Gupta, here, has one to share with us. This feedback probably assures him on how his product has placed itself significantly well in the market. I just wanted to express my gratitude for all the hard work your team puts in to provide us the Magic Voice service. Today my widowed mother has turned 59. For the first time since the end of 2012, I heard her genuinely laugh, something I’ve really missed. The reason you ask? I called her using the Christmas Chipmunk voice and sang the Happy Birthday song. Then the more I talked, the more she laughed, eventually the laughter turned into tears of joy. blackNgreen already operates in international markets spanning across MEA, APAC, and SEA with 98 operations across the globe in partnership with renowned Telco giants like MTN, Airtel Africa, Vodafone, Virgin Mobile, Telenor, Orange and Digicel Group. Lately, the major focus is on LATAM and CIS region for the company. Since inception, blackNgreen has been self-funded. However, the founders are now open to funding, as they are planning on heavy expansion in several other telecom verticals and banking sector. Following Smart Line App’s huge success in Brunei, the founders are planning on adding to this product line in the coming months. We would also be expanding our presence in at least 20 more countries in 2019. Like I said we are never at rest. We are constantly innovating and improvising. We have entered into gaming vertical in full swing and expanding it in coming years. Importantly, Gupta and Shankar are focusing on expanding their gaming product portfolio with interesting games on all three platforms (IVR, WAP, and APP). “We would also be expanding our presence in at least 20 more countries in 2019. Like I said we are never at rest. We are constantly innovating and improvising. We have entered into gaming vertical in full swing and expanding it in coming years. We are working on intelligent products for enterprise and banking sector that would be developed as a separate vertical altogether,” envisions Gupta. This means we are going to keep hearing significant developments from blackNgreen in the days to come. Servicing over 290 million global mobile users at ease, this startup is leading the global VAS business 5 out of 5 based on 1 ratings. 1 user reviews. Smartphone companies rule the roost!